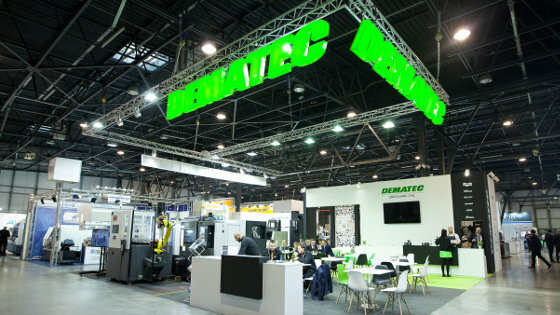 On 26-28 March 2019 we had the chance to present Dematec on XII edition of STOM-TOOL – Metal processing, Tools and Machine Tools Fair which took place in Kielce city. Thank you for visiting our stand! One of the attractions we prepared for visitors was special automation system – combining Doosan lathe with Fanuc robot we created automated loading and unloading system. STOM-TOOL Kielce 2019 – Welcome! You are welcome to visit our Stand during International Fair of Metalworking and Machine Tools STOM-TOOL. The event will take place on 26-28 March 2019 in Sosnowiec city. You will find us at: Stand C08. Our company will present the latest solutions for the industry combining the Doosan lathe with the Fanuc robot for loading and unloading the part. This is the perfect opportunity to talk about solutions we implement for automating CNC machining. Thank you for visiting our stand! The INNOFORM fair is an opportunity for us to exchange valuable experience during meetings with our business partners. Studying your needs and expectations our company will offer individual proposals according to your requirements. During three days of the fair, our contractors and all visitors to the stand had the opportunity to watch a demonstration of machining on selected CNC machine models. INNOFORM Bydgoszcz 2019 – Welcome! We Dematec Polska on behalf of our management take immense pleasure in inviting you to attend this year’s edition of Bydgoszcz International Fair: INNOFORM Exhibition. 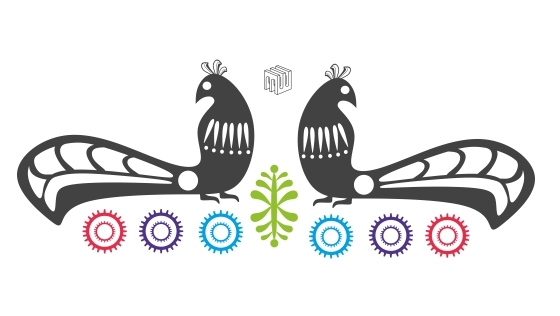 The event will take place on 12-14 March 2019 in Bydgoszcz city. 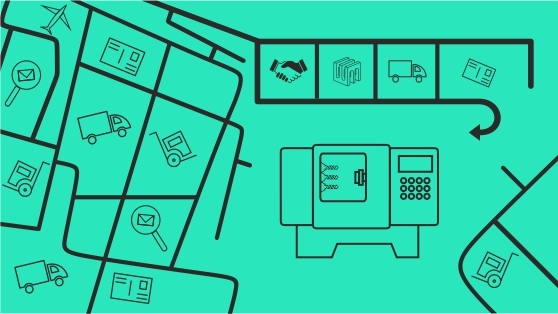 Our company will present the latest solutions for the industry. You will find us at: stand 34. We would like to thank you for the great cooperation, kindness and support that you gave to our team. We wish you, your relatives and friends peaceful Christmas time and all the best in 2019. 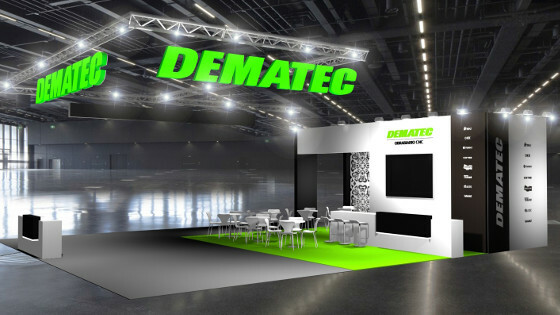 We would like to inform you that at the end of November, Dematec ended cooperation with Nicolas Correa. Thank a lot for cooperation. Soon, the details of our new offer in the field of horizontal and vertical centers, equipped with a swivel head. Thank you for visiting our stand! The TOOLEX fair is an opportunity for us to exchange valuable experience during meetings with our business partners. Studying your needs and expectations our company will offer individual proposals according to your requirements. Continuous development and technological progress is particularly important to us, this is why we have prepared special automation system – combining Doosan lathe with Fanuc robot we created automated loading and unloading system. TOOLEX Sosnowiec 2018 – Welcome! You are welcome to visit our Stand in International Fair of Machine Tools, Tools and Processing Technology TOOLEX. The event will take place on 2-4 October 2018 in Sosnowiec city. Our company will present the latest solutions for the industry. You will find us at: Stand 306, Hall A. 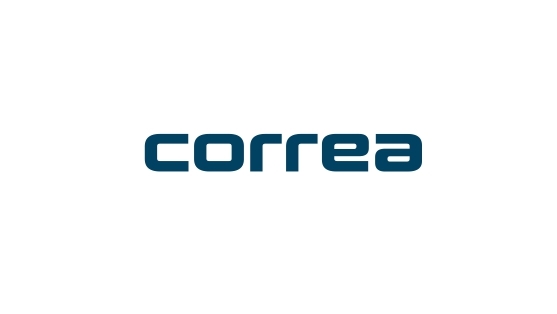 For 3 days you will be able to take a close look into what our company offers and talk to representatives of different departments in our company. 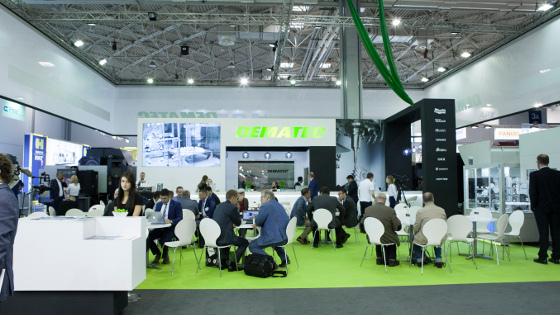 The largest and most important industrial exhibition in Poland are over. Thank you for visiting our stand! Once again we noted a record of attendance. During the fair, we had many fruitful meetings with current and future customers. 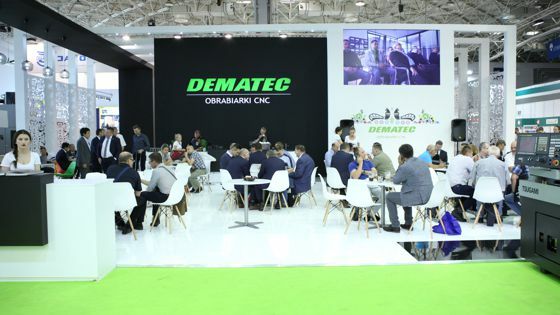 The ITM fair is an opportunity for the company Dematec not only to present our company’s offer but also to exchange valuable experience during meetings with business partners. One of the attractions we prepared for vistors was show of the metal cutting on the Doosan VCF 850LSR and Tsugami HS 207 machines. 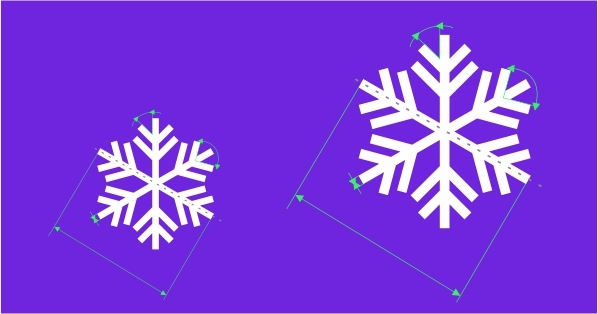 MACH-TOOL Poznań 2018 – Welcome! 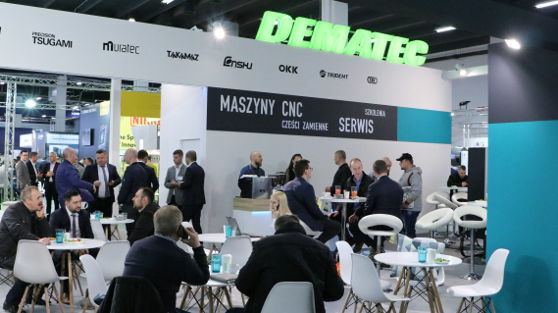 We Dematec Polska on behalf of our management take immense pleasure in inviting you to attend this year’s edition of Poznań International Fair: MACH-TOOL Exhibition. The event will take place on 5-9 June 2018 in Poznań city. Our company will present the latest solutions for the industry. You will find us at: Pavilion 3, stand 27. On 10-12 April 2018 We had the chance to present our company on XI edition of STOM-TOOL – Metal processing, Tools and Machine Tools Fair which took place in Kielce city. We hosted foreign business partners at the stand, among others: representatives of Muratec and Nikken. As usual, the fair was a great opportunity for us to meet our long-time contractors, as well as the opportunity to establish cooperation with new business partners for the coming years. On 3-5 October 2017, we had the opportunity to present our company’s offer at the Toolex International Machine Tool Fair in Sosnowiec city. 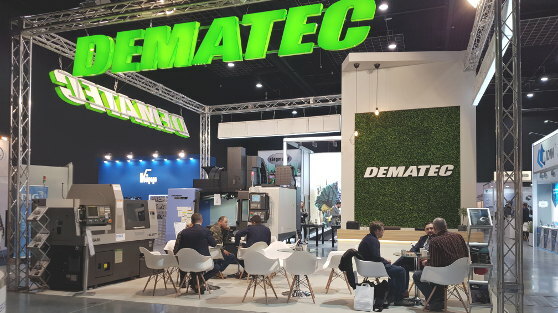 The fair was a great opportunity to exchange experiences and present a wide range of products offered by Dematec as the official representative of korean machines in Poland. During three days of the fair, our contractors and all visitors to the stand had the opportunity to watch a demonstration of machining on selected CNC machine models. Doosan LEO 160, 1600 News ! Thank you for visiting our stand during the ITM fair in Poznań. 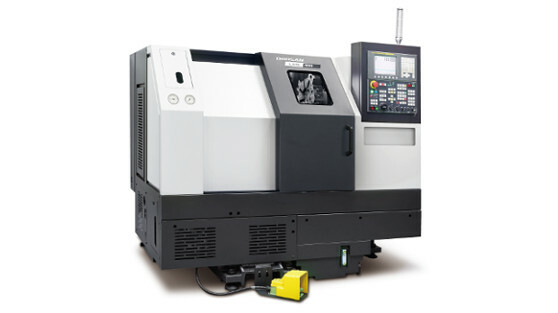 We have presented 13 machine tools for you from following companies: Doosan, Tsugami, Enshu, Murata, Takamaz, OKK. A meeting with professionals from our company, among whom you could meet management staff, technologists, sales and service specialists, helps you get acquainted with our offer, so we encourage you to follow us on upcoming events. 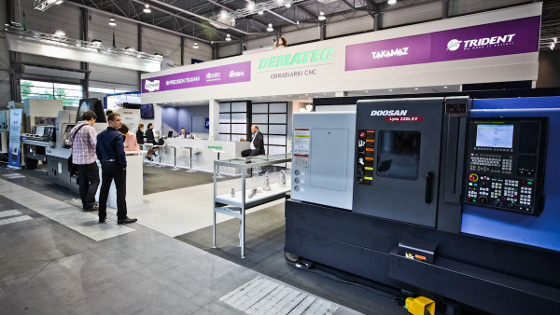 Thank you that we were able to welcome you at our stand during the STOM-TOOL fair in Kielce which enabled us to present our company’s offer as well as to present several models of machines like: Tsugami HS 207, Murata MT100 and DOOSAN LYNX 220LMA turning center and vertical milling center DNM 4500 series integrated with the Kawasaki RS020N robot. 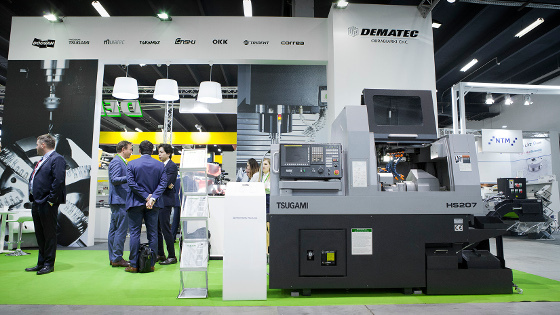 Thank you for visiting our stand at MACH-TOOL, Poznań. On November 6-7 2013. 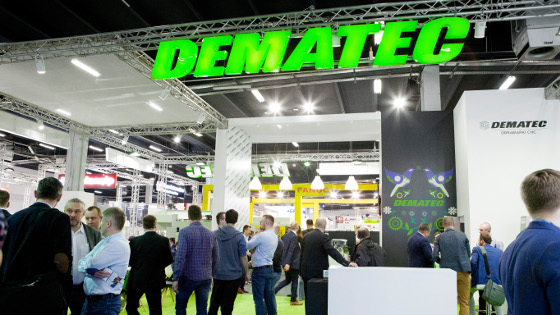 Dematec Poland Open Days were held to commemorate the 10th anniversary of the company. The event took place in the new company’s headquarters in Niepołomice which is located near Kraków. On this occasion, partners, contractors and suppliers were invited. 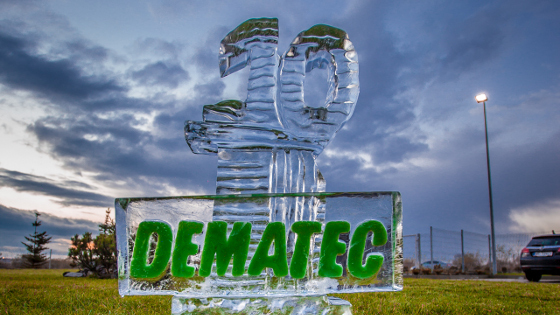 Guests had the opportunity to see the show called “Ice & show” performed by a company Ostre Cięcie, which made the logo of the Dematec company from a block of ice. 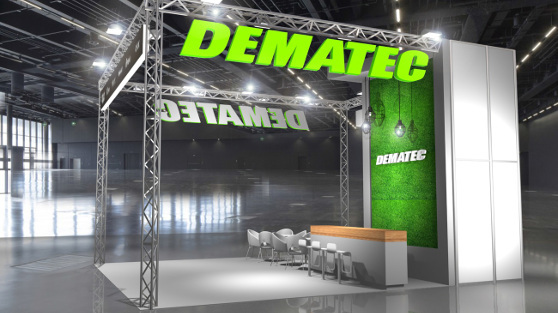 In the last 14 years, Dematec has been taking active part in the most important trade fairs in Poland. Starting from 2004, we are exhibiting, among others at ITM in Poznan, Stom-tool in Kielce, Toolex in Sosnowiec, Innoform in Bydgoszcz. Trade fair events give the opportunity to meet with professionals from our company which enables in-depth review of our offer. We encourage you to follow upcoming events.